For far too long sexual and reproductive health has been viewed as issues of concern for women alone. As a result, women have too often been left with an overwhelming share of the burden of the decision making around reproductive health and securing health care. Add to that, the conservative agenda in some parts of the world that seeks to roll back women’s right to choose both whether to terminate a pregnancy and even to have access to a full range of family planning and reproductive health services. 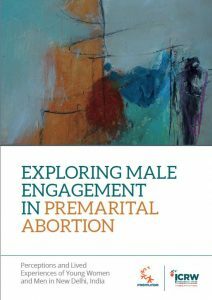 Few studies have directly examined men’s roles in women’s decision-making and experiences around abortion, or men’s own experiences related to abortion. This study is part of a small but growing body of research looking at how men are involved, and importantly, how they can become more involved as supportive, respectful partners. 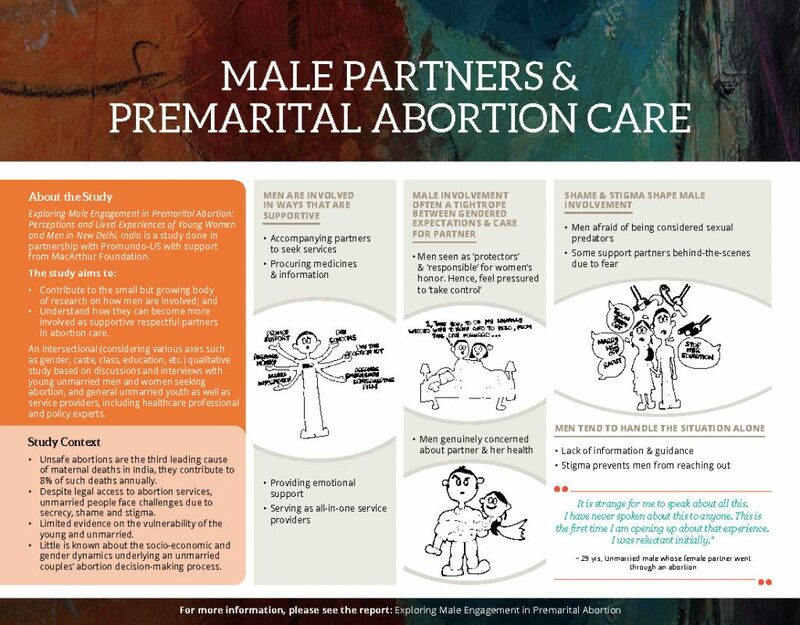 For an infographic on male partners and premarital abortion care, click here or on the image to the right.